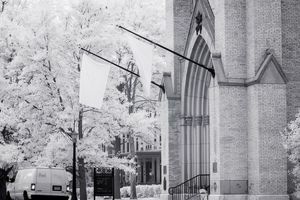 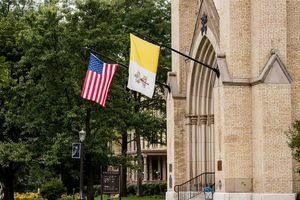 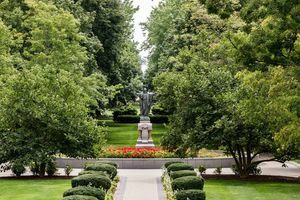 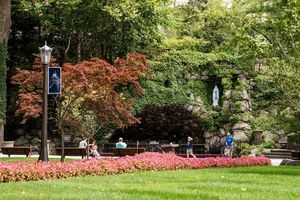 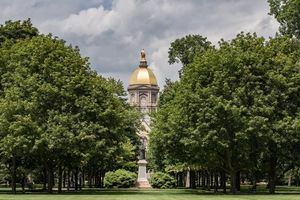 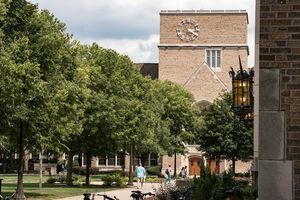 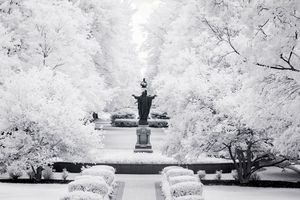 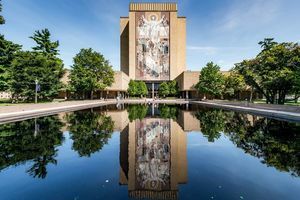 For 25 years, senior university photographer Matt Cashore ’94 has delighted our readers with his photographs of campus and its people as well as Notre Dame ventures around the globe. 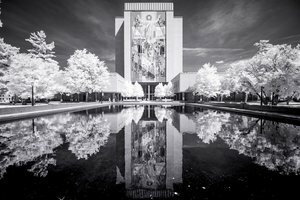 With this photo essay, shot during the summer of 2017, Cashore used a camera converted to make photos of the infrared spectrum of light normally invisible to the human eye. 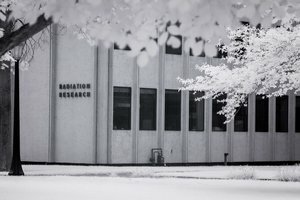 Infrared light is part of the electromagnetic spectrum, but its rays have longer wavelengths than visible light. 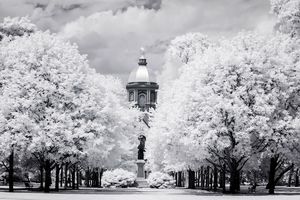 While we cannot see infrared light, we feel it as heat. 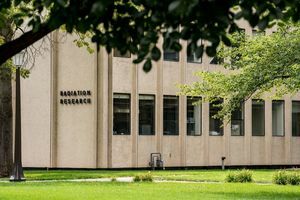 About half the energy that comes to Earth from the sun is infrared radiation, and heat-producers like flames, lamps, plants and humans emit infrared energy. 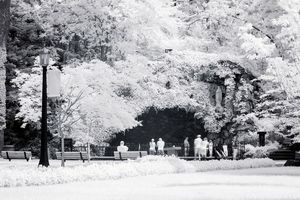 For these pairs, Cashore stood in one place and took two photos — one with a regular camera and another with an infrared-equipped one. 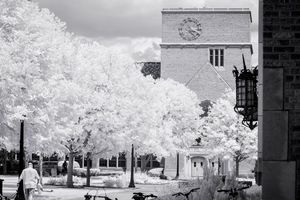 Use the sliders to see seven campus landmarks and their infrared twins.